The "Maestro" designation is reserved for brushes manufactured using male winter Siberian Kolinsky Red Sable fur. These are top-of-the-line, highest quality brushes. 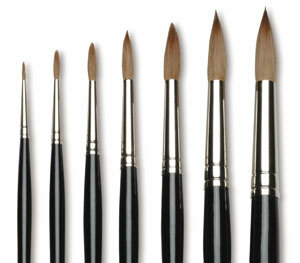 All brushes have seamless, brass-plated ferrules. The extra sharp needle-like point and longer tapered hair length result in faster action at the tip and the tightest snap at the point. Expect superior spring and control, plus unsurpassed water-carrying performance from Da Vinci's Series 10 Maestro Kolinsky Round. 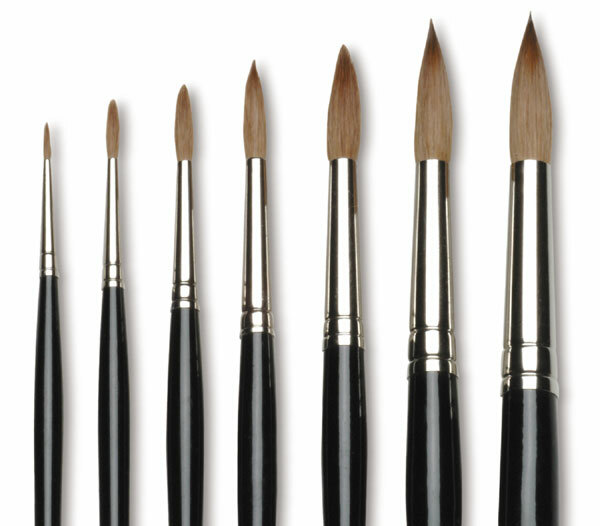 Da Vinci's "Maestro" designation is reserved for brushes manufactured using male winter Siberian Kolinsky Red Sable fur. These are top-of-the-line, high quality brushes. The extra sharp needle-like point and longer tapered hair length result in faster action at the tip and the tightest snap at the point. Expect superior spring and control, plus unsurpassed water-carrying performance.